Looking for mentors to take your business to the next level? business and the benefits of doing business at Jake’s Café! Looking for mentors to take your business to the next level? Give me a call! Let’s have a cup of coffee, talk about your business and the benefits of doing business at Jake’s Café! It’s been my ongoing vision to bring the area’s best and brightest together into a fun and inspiring coworking space that provides you every opportunity to perform at a higher level. With the help of our staff and community, I truly make a sincere effort everyday to create opportunities and events that help our members learn new things and forge new relationships. Most of our profits are reinvested right back into the cafe and our local community to make it even better. The Jake’s Café Creative Community is named in honor of Frank “Jake” and Betty Jacobson. Jake was a farmer from Steven’s Point with a passion for drawing and photography. Betty was a “society” girl with interests in architecture, sculpture and painting. They met at the Layton School of Art and Design, fell in love, eloped to Crown Point Indiana, and were married in 1940. They later moved to Los Angeles, but eventually returned to Sheboygan in the late 40’s. In 1957, on their picnic table, Jake and Betty founded Jacobson Advertising at their home at 1229 N. 4th St., right here in Sheboygan. In 1962, they moved their agency to our current location at 529 Ontario Avenue. Three expansions and 50 years later, it has now become the Jake’s Café campus. Jake and Betty went on to produce award-winning work for clients like Kohler, Bemis, Nemschoff, Richardson and others, but they will be most remembered for the launching of Swiss Miss Hot Cocoa. The tasty beverage was named and designed right here. Betty’s original rosemaling still appears on their packaging sixty years later. 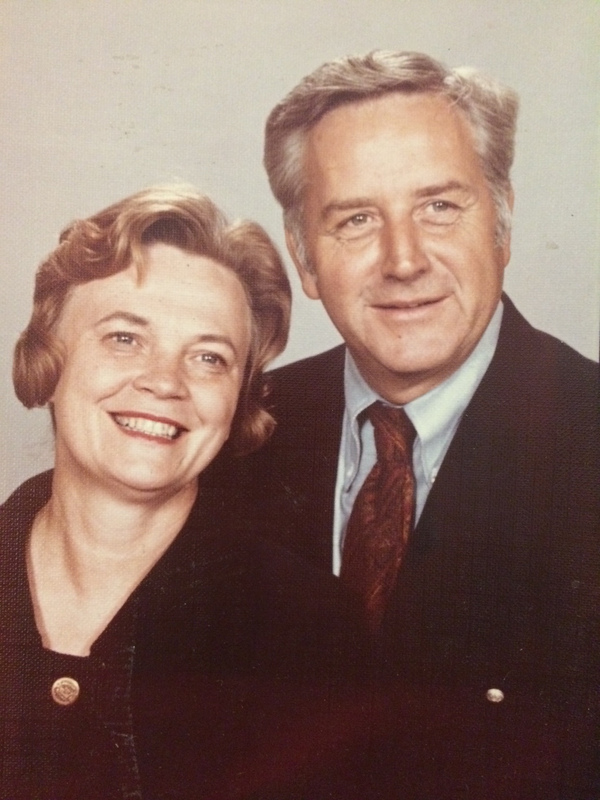 Jake and Betty sold Jacobson Advertising to their son Tryg in 1983. Tryg soon teamed up with Jon Rost, Jake’s former partner, and rebranded as Jacobson Rost. It was a good partnership. Jacobson Rost grew to be one of the largest agencies in Wisconsin with accounts that included Trek Bicycles, Kohler, Bemis, Miller Electric, Huggies Diapers, Kleenex, Piggly Wiggly, Mercury Marine, Sargento, First Alert, Culver’s, Leinenkugel’s, Fisher Nuts and many other household brands. Jon retired in 2000 and Tryg sold his interest in 2010. The agency unexpectedly moved their offices to Milwaukee and Chicago. “I was left with 20,000 sq.ft. of office space in the height of a recession,” said Tryg. 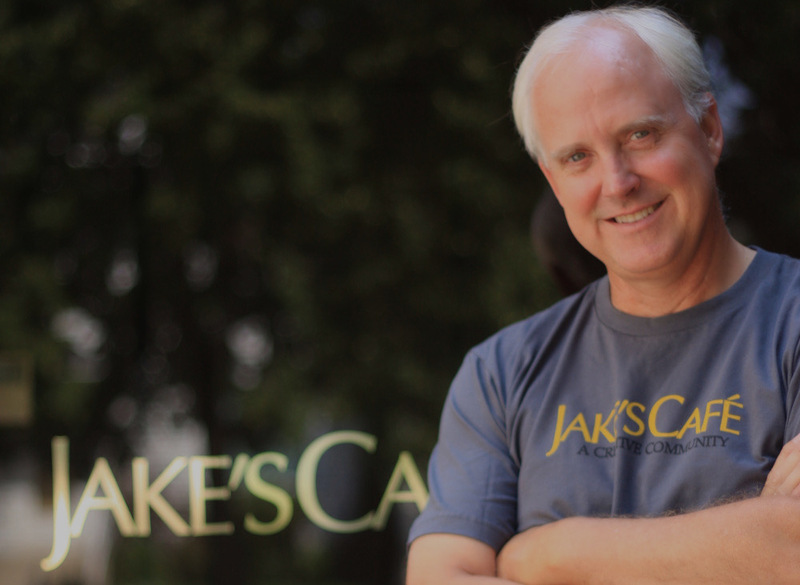 “Rather than attempt to compete in the traditional commercial office space market, I repositioned the real estate as a “creative” campus and named it in honor of my parents.” Jake’s Café was launched in June of 2010. “It was designed to provide a safe place for creative people to work, grow, be part of a community and feel validated. It worked! Today, Jake’s is a thriving creative community and coworking space with a diverse group of businesses… from forensic accounting, intellectual property law and education to graphic/web design and nutrition consultation. We even have our own gourmet chef, a movie theater and inspiring meeting places throughout the campus! Since 2010, we’ve had several successful start-ups in all sorts of fields including advertising, social media, film-making, sound design, architecture, manufacturing, financial services, and more. Many are still at Jake’s. Others have moved on to larger spaces in far away places. We miss them, and we’re proud of them. They’ll always be considered part of the Jake’s family. We’d love to have you join our family too!